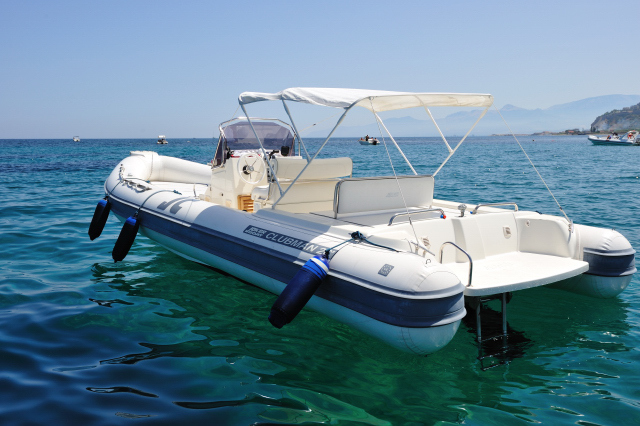 The guests of Villa Cecilia are offered the exclusive daily chartering of a RIB (Rigid Inflatable Boat) with skipper service included. 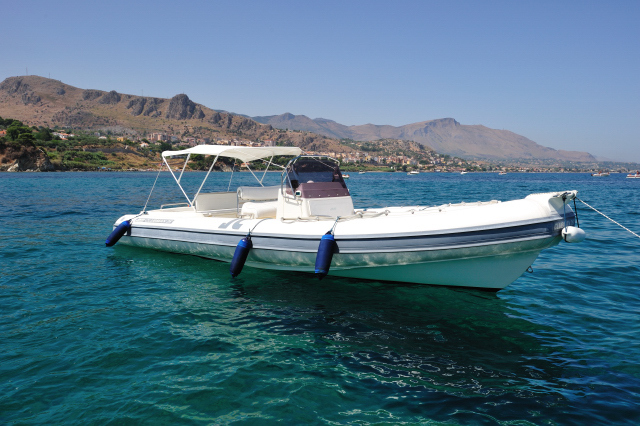 The RIB is moored in the small touristic port opposite the villa. This is easily accessible trough private facilities that include a terrace overlooking the sea, a changing room, toilet and shower. 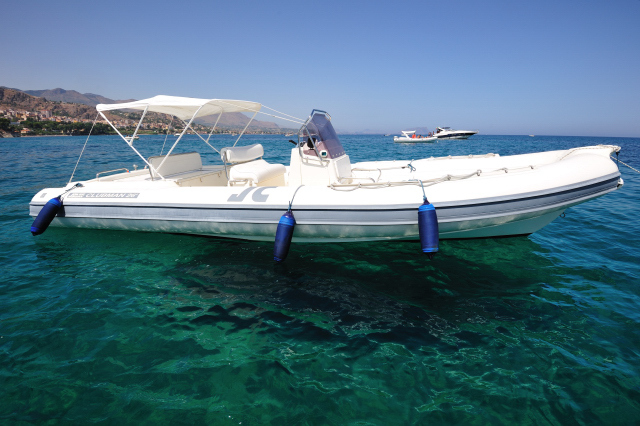 The RIB has high performance and high capacity, carries up to 22 people, has a length of 8 mt and an inboard engine of 6,200 cc (320 hp). It is equipped with a range of accessories for the comfort of passengers: wide cushions, canopies, shower, refrigerator, radio and DVD player. 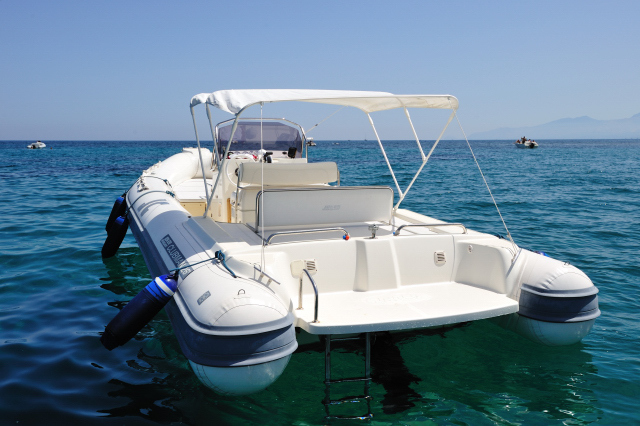 It is an ideal solution to enjoy the beauty of the coast and of the nearby islands. With only 20 min of navigation you van reach Capo Zafferano with its fascinating rocky cliffs and cristal clear waters. 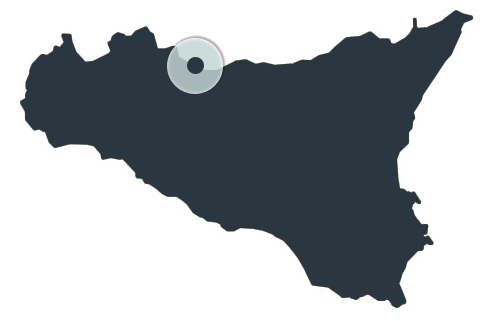 Cefalù is at only 45 minutes of distance. 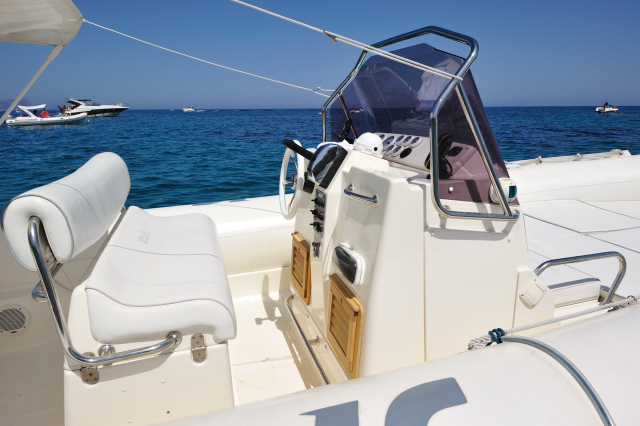 A daily excursion to the islands Alicudi or Ustica requires just 1hr50 min of navigation. 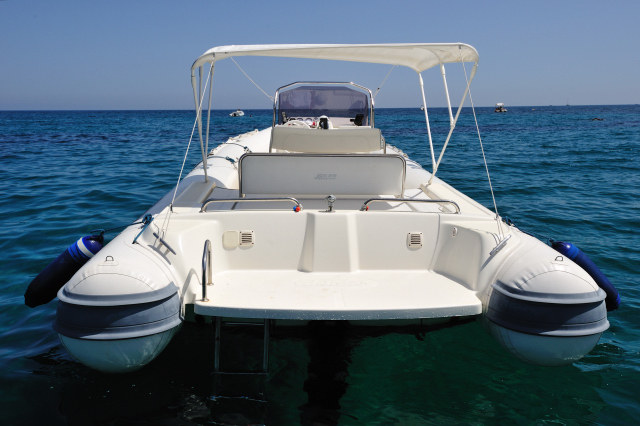 The island Filicudi is 2:10 min away. We now offer an even wider range of services including touristic tours with an English speaking guide to the historical highlights of Palermo, Monreale and Trabia. Our guests staying in the Main House can enjoy a private chef available also for large groups with a wide selection of regional and Sicilian dishes.